As Variety reported recently, Carlos Muñoz Portal was shot to death while scouting locations for the fourth season of Netflix’s “Narcos.” His bullet-ridden body was found in his car in a remote area close to the town of Temascalapa in Mexico State, close to the border of Hidalgo State. The region is a hotbed of drug cartel activity and has one of the highest murder rates in Mexico, with 162 people killed in July alone. 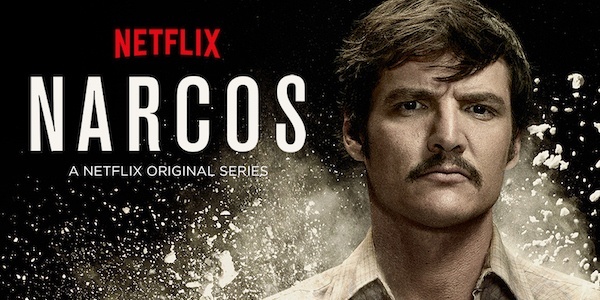 Season 4 of “Narcos” will tell the story of the Juarez Cartel, just as the current season 3 is telling the story of the Cali Cartel and the first two seasons related the rise and fall of Pablo Escobar, the head of the Medellin Cartel. Some doubt exists, because of the murder, whether the series will continue to film in Mexico. Variety is also reporting that Roberto De Jesus Escobar Gaviria, the brother of Pablo Escobar, has called on the producers of “Narcos” to increase its security protocols, even to the point of hiring professional killers who work for the various cartels. Gaviria worked for his brother as his chief accountant and the head of the Medellin Cartel’s army of hitmen. He was arrested and subsequently released. He is now the cofounder of a company called Escobar Inc. and is the author of a number of books, articles, and patents. The CEO of Escobar Inc., Olof K. Gustafsson, took the occasion of Portal’s murder to troll Netlfix by suggesting that it is not safe to make television shows about drug lords. How serious Gaviria’s suggestion is is open to question. He has had a longstanding dispute with “Narcos,” which he claims has defamed his brother in a number of ways. He is also involved in a trademark dispute with Netflix over the use of the name “Narcos” and the name of a computer game called “Narcos: Cartel Wars.” Gaviria is seeking a billion dollars for what he claims is an infringement. Meanwhile, Narcos Production LLC, the company behind both the Netflix series and the computer game, may be preparing a lawsuit of its own against Escobar Inc. A letter released by the firm’s lawyers indicates that claims made in Gaviria’s lawsuit are “fraudulent.” One of the claims is that Escobar has had an online computer game company since 1986. The problem is that the Internet was not in wide use that year and was not capable of carrying interactive audiovisual content. Gustafsson is claiming that Netflix has agreed to pay “something,” with the amount being negotiated.